Sony has announced the return of its super popular Days of Play mega sale, an 11-day event that sees the prices of PS4 consoles, AAA games, controllers, PS VR bundles, DualShock 4 controllers, wireless headsets and more discounted. The 2018 Days of Play sale begins on Friday June 8th (running from the 8th through to the 18th) and will see Sony "rolling out some incredible offers on PlayStation hardware, PS Plus membership, PS4 games and accessories." Excitingly, the Days of Play sale will also see a limited number of special edition consoles go on sale. These exclusive PS4s have been specially designed for Days of Play 2018 and include two DualShock 4 wireless controllers and a 500GB hard drive. The console features the "iconic PlayStation shapes in a dazzling gold design." 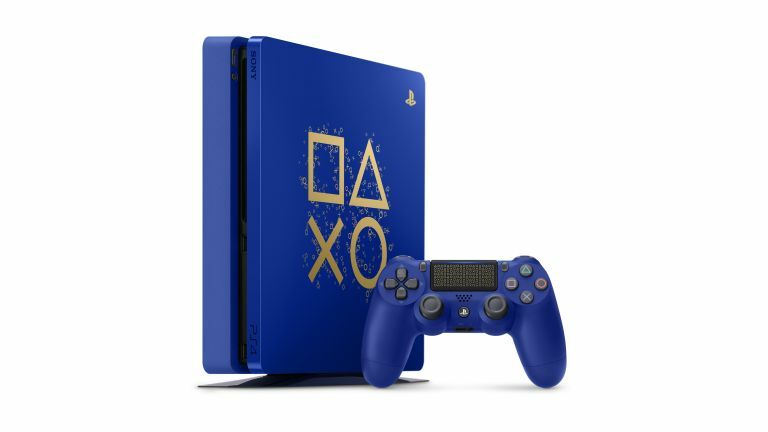 The special edition, one-time-only, 2018 Days of Play PS4 console will retail for £249.99. Other deals include some tasty bundle packages on the PS VR Starter Pack, coming with either the WipeOut Omega Collection or Gran Turismo Sport for just £199.99, as well as tasty discounts on top titles like God of War, Shadow of the Colossus, Uncharted 4, and Gran Turismo Sport. The 2018 Days of Play sale also offers sweeping discounts across the entire PlayStation Store, with Far Cry 5, Assassin's Creed: Origins, Grand Theft Auto 5, Horizon Zero Dawn, Call of Duty: World War II and more to be reduced in price. Discounts are also going to be offered across all PlayStation services, too, including PlayStation Plus, and on PlayStation Gear as well. For more information about the Days of Play sale, then head on over to its dedicated web page now, or check out its related post on the PlayStation Blog.